A night to remember! Jessica Alba celebrated her 36th birthday with a slew of A-list friends (including pregnant Beyoncé!) at a Prince vs. Michael Jackson-themed costume party. The birthday girl rocked a plunging black jumpsuit, a sheer bolero jacket and retro lace gloves as she arrived at The Peppermint Club in West Hollywood. She wore her chestnut locks in curls and completed the ’80s-inspired look with smoky eye makeup. Before heading to the club, she had dinner at local hotspot Delilah. Beyoncé, who is expecting twins with husband Jay Z, attended the celebration with her former Destiny’s Child bandmate and close friend Kelly Rowland. The “Formation” singer, 35, was photographed wearing a silver jacket over a black top and covered her face with a black fedora, sparking speculation that she channeled one of the late King of Pop’s iconic outfits for the party. 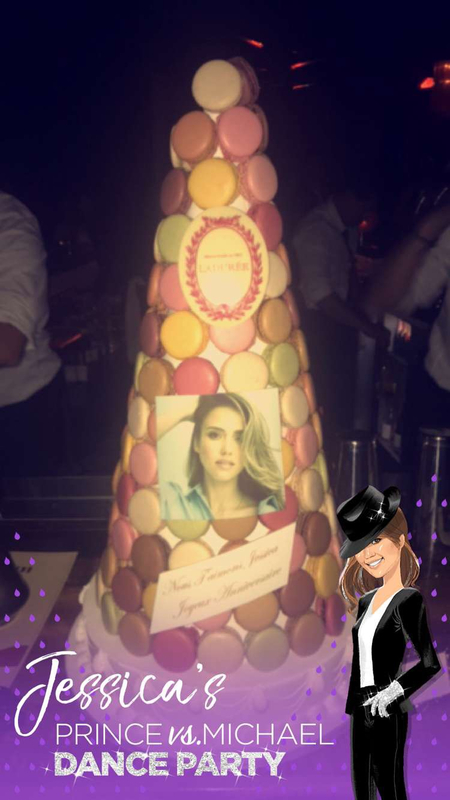 Alba documented much of the night on her Instagram Story and Snapchat, sharing photos and videos with friends and showing off her colorful birthday cake. Other celebrity attendees included Nicole Richie and husband Joel Madden, Cameron Diaz and husband Benji Madden, Jaime King, Shay Mitchell, Russell Simmons and will.i.am. Last night celebrating @jessicaalba birthday❤️ thanks for throwing a Michael Jackson vs Prince party-haven't danced that much in a long time! HBD you beautiful, inspiring, hard working, can do anything woman?